The Kind Effect Needs Your Ninja Skills! Join the movement that's making the world a kinder place, one surprised stranger at a time. Today, the news is full of the same hum-drum stories that are making us all feel depressed and powerless. On top of that, there's a whole lot of sad stuff happening out there that - to a certain extent - is beyond our control. The Kind Effect, however, is a reminder that simple good things happen every day and that there are people out there who care a whole lot about others. Changing the world for the better depends upon people like us. 1. Fill news channels with positive stories that make us smile, laugh, and cry out of joy. 2. Empower people to step out of helplessness and depression by doing simple good things for others because these acts help us create a sense of meaning, purpose, and fulfillment. 3. Remind people that they matter, even if we don't know them. 4. Surprise the heck out of strangers with silly shenanigans for good. 5. Uplift and inspire others by highlighting kind things other brands, organizations, and individuals are doing out there as well. 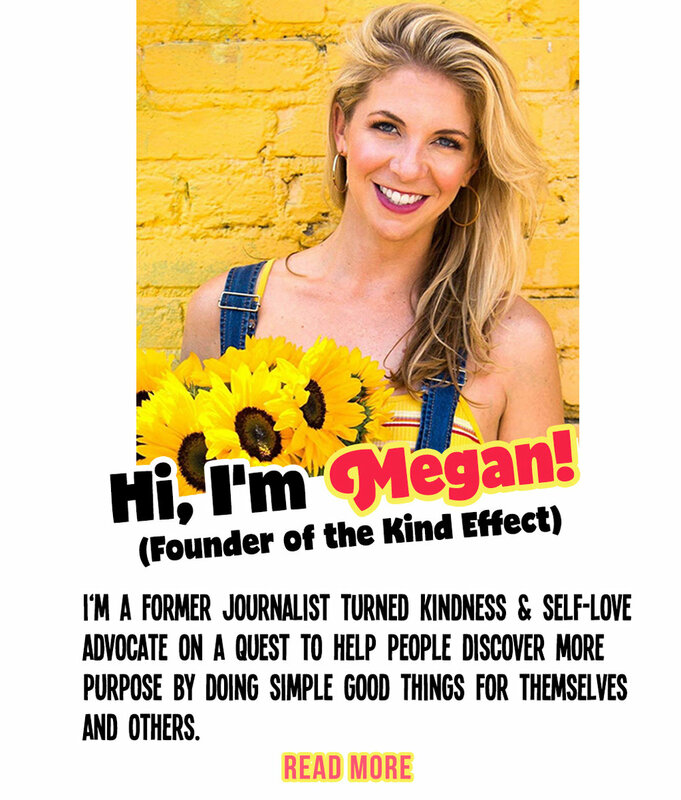 Send us a note via email at Megan@thekindeffect.com to apply. Creative thinking with a love for the phrase, "wouldn't it be cool if ..."
The Kind Effect is a pay-it-forward project sharing the joy of good deeds.